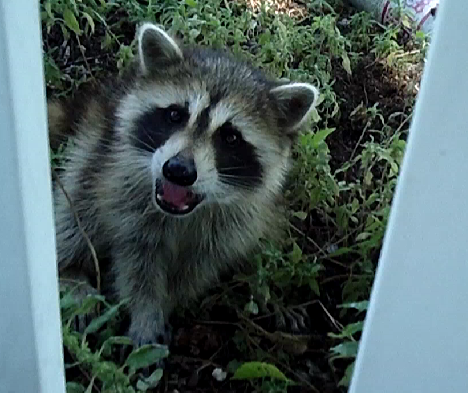 Orphan Baby Raccoon with Video! How cute is this baby raccoon? Too cute! He was wandering around my parents yard starved looking for a snack and something to drink. My parents and the Bandit got him some milk, chicken, and cheese. He climbed up the fuel tanks and was trying to get down. It’s just funny and I thought I’d share it with everyone. Just another fun day on the farm 🙂 Enjoy! Yes, that’s the Bandit in the background laughing at my parents!